WINNIPEG — The Winnipeg Blue Bombers today announce the club has re-signed national receiver Nic Demski to a new two-year contract. 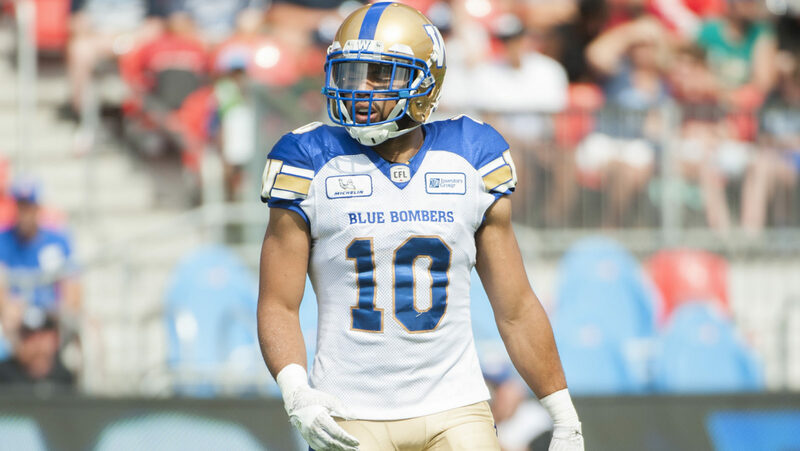 Demski officially became a free agent on Tuesday, but will now remain with the Bombers through the 2020 season. Demski (6-0, 208, University of Manitoba, May 14, 1993 in Winnipeg, Mb) enjoyed a break-out campaign in 2018, his first with his hometown Bombers after three years with the Saskatchewan Roughriders. Keep it locked to CFL.ca for all the latest signings, rumours and analysis as Free Agency opens. Demski finished third in both rushing and receiving yards for the Bombers, pulling in 59 passes for 554 yards and three touchdowns, while rushing 34 times for 248 yards and one more score. He also returned 26 kicks for 374 yards. In 57 career CFL games, Demski has 128 receptions for 1,279 yards, and 43 carries for 286 yards and one touchdown. He was originally selected by the Roughriders in the first round, sixth overall, in the 2015 Canadian Football League Draft after a spectacular college career with the Bisons. He was the first Bisons player to be named to four CIS (now U Sports) all-star teams, as a CIS Second-Team All-Canadian slotback in 2013 and 2014 and as a kick-returner in 2011 and a First Team All-Canadian returner in 2012.